Being diagnosed with cancer is one of the most shocking challenges a person can face. 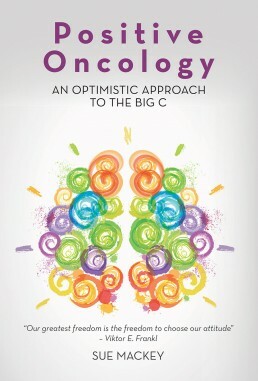 In Positive Oncology: An Optimistic Approach to the Big C, author Sue Mackey draws on her personal experience with cancer and combines this with positive psychology strategies, evidence of mind-body connections, and wisdom from ancient cultures to provide a guide to increasing coping skills and resilience. Her Positive Oncology approach is filled with optimism for harnessing the power of one’s mind to achieve greater well-being and purpose in the face of life-threatening illness.